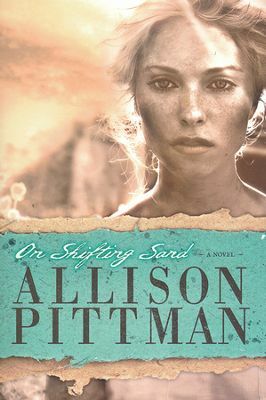 On Shifting Sand by Allison Pittman is the first of Ms. Pittman’s books that I’ve read. It was not an easy read and to be very honest, I detested the main character Denola, which means the writing was done exceptionally well. Having no prior knowledge of the Dust Bowl other than knowing it existed, the story brings to life the realities of living in such a drought and the devastation that accompanied it. Feeling neglected and unloved, Denola makes choices that have grave consequence but the temptation is alive and alluring. She sees the perfectness of her husband Russ against the filthiness of her own depravity. And when she makes the comparison, the wantonness of her being overwhelms her sanity. It is truly a story of finding one’s own redemption in the Cross and understanding the draw of temptation. On Shifting Sand is a well done historical representation of seeing the effects of man’s greediness upon the land, the need for a real and present relationship between husband and wife and the power of forgiveness in all of it. I received this book from The Book Club Network and Tyndale Publishing in exchange for my honest opinion which I’ve provided here.